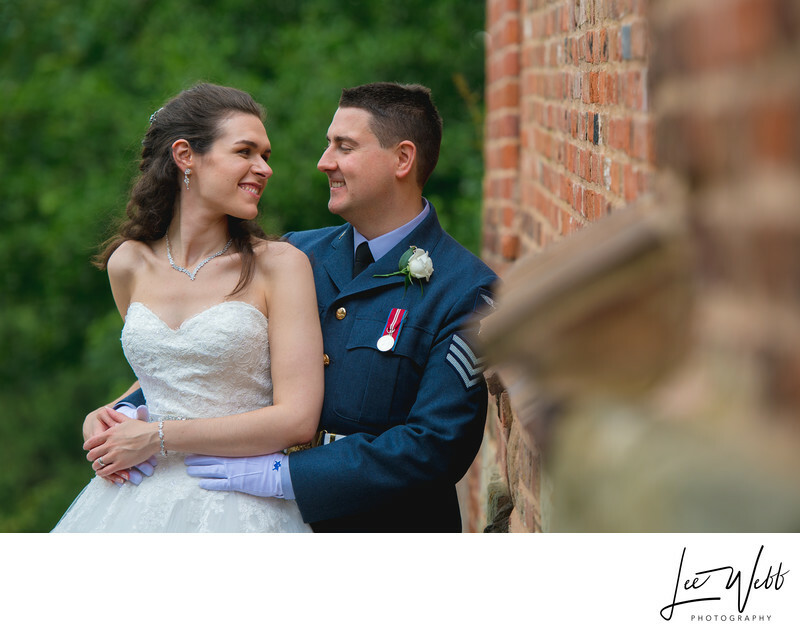 Beccy and Karl got married at St Georges Church in Worcester, before hosting their wedding reception at Worcester Guildhall. However, in order to get the most from their wedding day, Beccy and Karl hired the grounds of Worcester Cathedral for a couple of hours. Here, we took the formal family photos whilst the remainder of the wedding guests enjoyed a drinks reception at the Guildhall. 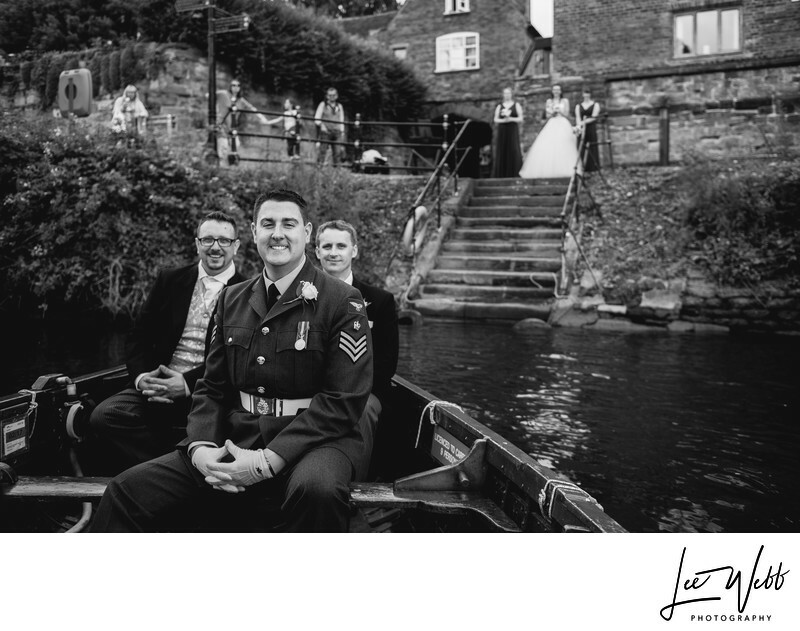 The cathedral provided an excellent location for wedding photography, as did the picturesque walk alongside Worcestershire's River Severn. Perhaps the best thing about the wedding was how well the timings for the day were planned. You could almost say it was planned with military precision! We had so much time in fact, that the bride and groom, bridesmaids and groomsmen all went for a walk along the river with myself in tow. We also stopped for ice cream from a local vendor and even went for a quick trip on a rowing boat! For the main photo though, it was simply a case of being in the right place at the right time - and being able to quickly change your camera settings! 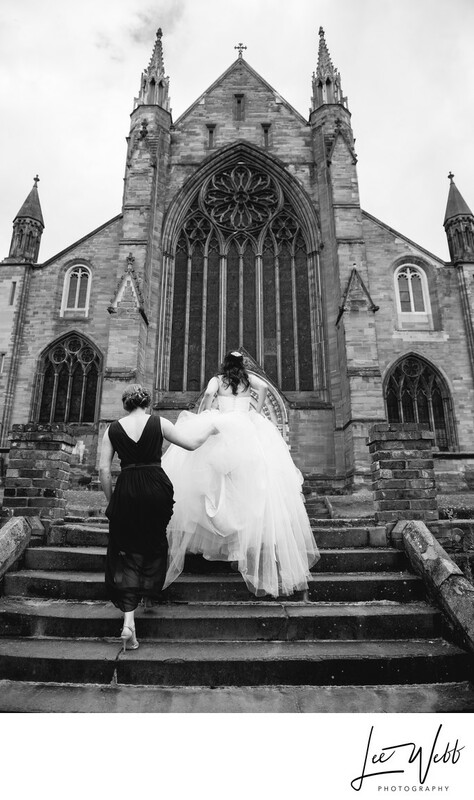 I was waiting for the bride to make her way up the steps to the cathedral when the maid of honour came to provide assistance to the bride. I realised this was a fantastic opportunity for a photo that both showed off this amazing wedding dress as well as Worcester Cathedral itself.